Expanding your current home could be the answer, and though a log home is a little tricky when it comes to additions, it’s totally doable. There may come a day when your current home starts to feel a little tight at the seams. You want more space, but you really love where you live and you don’t want to move — you just need a little more elbow room. Expanding your current home could be the answer, and though a log home is a little tricky when it comes to additions, it’s totally doable. Whether you’re facing a major renovation or creating a small addition, here’s some need-to-know info about connecting new logs to an existing house. 1. Talk to the experts. Cutting into a load-bearing wall (exterior log walls are almost always load bearing) to merge your addition requires expert advice. A builder, architect or structural engineer can help you determine if your proposed addition is structurally sound and will mesh properly with your existing log home. Your local building department will help ensure you have the correct permits in place and that your plans meet the code requirements for your area. 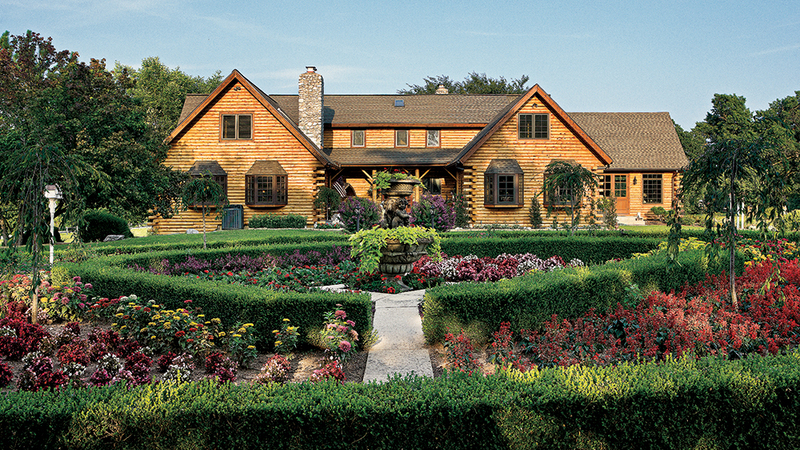 A log addition can create issues when added to an existing log home that has already undergone shrinking and settling. Consider using SIPs or conventional framing overlaid with log siding to avoid settlement issues between old, seasoned logs and new. 3. Create a tight structure. If a solid log addition is a must, attach logs to posts placed in between the old and new structure to address settling and help create a more air- and water-tight shell. A weather-tight union requires skilled carpenters with experience working with logs. Differences in appearance between old and new logs can call unwanted attention to a new structure. To keep the look seamless, place trim wherever the two sets of logs meet to minimize color distinctions. Adding a loft to a vaulted room is an easy way to gain extra usable square footage without cutting into a single wall, but it will require additional structural provisions. Again, talk to a builder, architect or engineer to determine the proper size of the joists and the size and placement of additional supports.